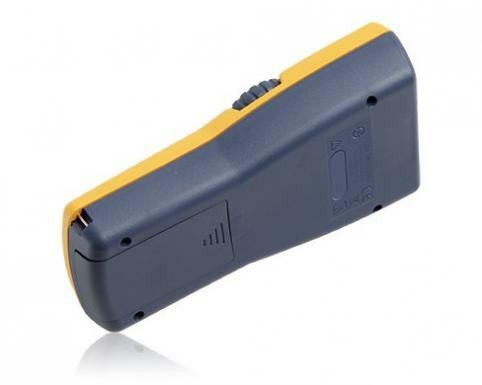 Digital network cable toner and probe traces and locates cables on active network. 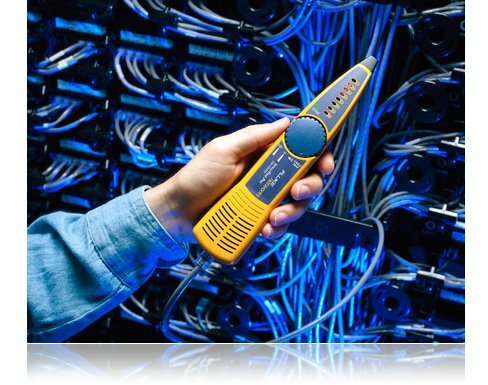 Get advanced vision for tracing and locating network cables more effectively at patch panels, switches, termination blocks, or hidden within bundles. Our new IntelliTone Pro 200 LAN Toner and Probe Kits finds the cables others can't. 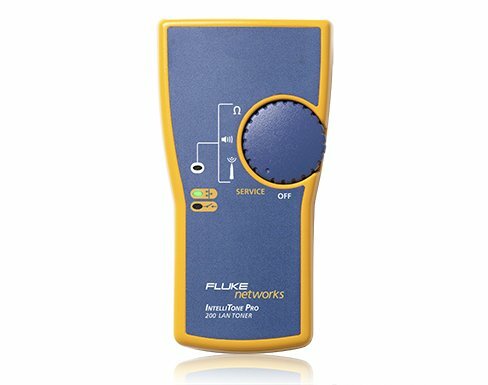 The IntelliTone™ Pro 200 LAN Toner and Probe Series from Fluke Networks is the first network cable toner tracer and probe to offer digital and analog signaling all in one network toner and probe. That means it’s equipped with the most powerful cable tracing and location technologies for any work environment. Use digital mode to trace and locate data cabling safely and effectively on active networks. Use analog mode to isolate individual wire pairs, and trace voice, audio, and video cabling. 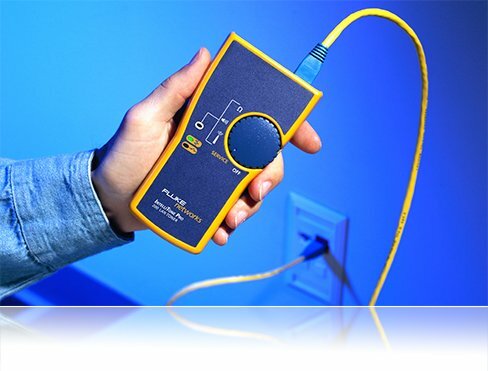 The IntelliTone™ Pro 200 LAN Toner and Probe Series from Fluke Networks gives you superior vision for tracing and locating cables hidden in floors, ceilings, walls, and in bundles. 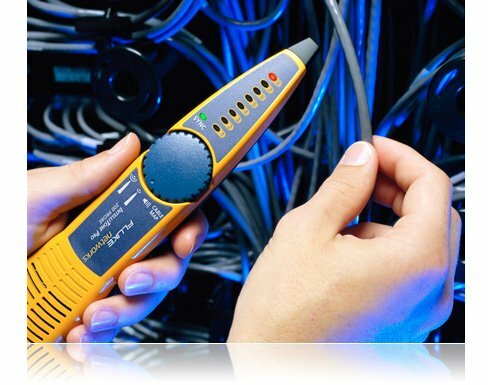 This network cable toner and probe's breakthrough digital technology makes it the first tool to tone and trace safely and effectively on active networks. "The intelliTone Pro has time and again proven to be an invaluable tool for our Datacom technicians in the field. 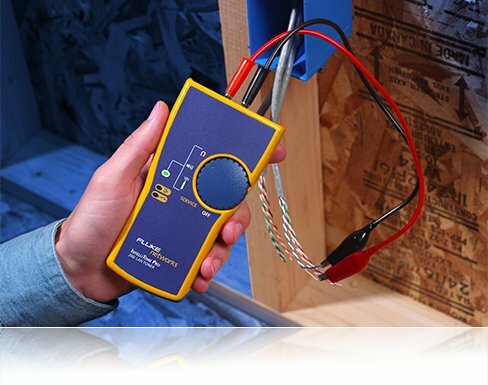 Whether its used for tracing out network cables or performing basic wire map tests on the fly; it's proven to be a very valuable tool for our company. The fact that the Intellitone Pro offers very precise tracing capabilities even on active network cables is an added bonus. Keep up the good work Fluke Networks." Get advanced vision for locating network cables more effectively at patch panels, switches, termination blocks, or hidden within bundles. Our new IntelliTone Pro 200 LAN Toner and Probe Kits finds the cables others can't. The IntelliTone™ Pro 200 LAN Toner and Probe Series from Fluke Networks is the first network cable toner and probe to offer digital and analog signaling all in one network toner and probe. That means it’s equipped with the most powerful cable location technologies for any work environment. Use digital mode to trace and locate data cabling safely and effectively on active networks. Use analog mode to isolate individual wire pairs, and trace voice, audio, and video cabling. 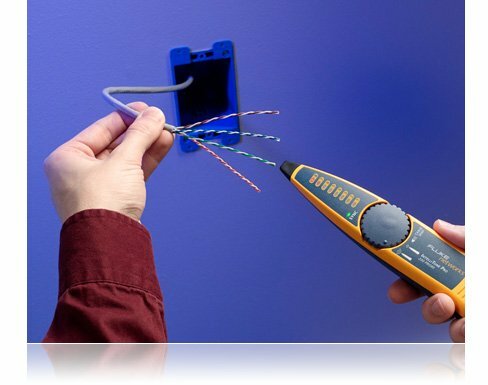 The IntelliTone™ Pro 200 LAN Toner and Probe Series from Fluke Networks gives you superior vision for locating cables hidden in floors, ceilings, walls, and in bundles. This network cable toner and probe's breakthrough digital technology makes it the first tool to tone and trace safely and effectively on active networks. Only IntelliTone™ Pro Toners and Probes offer the powerful combination of digital and analog technologies to resolve common infrastructure problems that arise during installing, maintaining, and changing of your network. Digital and analog toning in one tool. Today’s media networks are more diverse than ever. Most buildings have a combination of telephone, twisted-pair data, coax, and security/alarm wiring. Verifying proper routing and termination of this diverse set of cabling types requires tools optimized for different frequencies, connector types, and work environments. Until now, no single tool has combined the right technologies to operate across all copper media types, and in all environments. IntelliTone Pro changes that by combining cutting-edge digital and analog signaling to locate and verify virtually any copper cable, regardless of application or environment. IntelliTone Pro’s digital encoded signal should primarily be used on high-grade data cabling (Cat 5e/6/6a), and in active network environments. It operates at a high-frequency to match the higher frequency data the cable plant is designed to carry. This allows the tone to overcome competing data signals and aggressive low-frequency terminations of Ethernet switches. That means LAN cabling technicians can quickly zero in on the right cable during installations or troubleshooting. Digital toning is especially helpful once the cable has been located as it displays cable wiremap and checks for shorts, opens and miswires. The IntelliTone Pro 200 probe has an RJ45 input port and CableMap feature, allowing it to be plugged directly into a patch panel or wall port. The benefit of this wiremap test is two-fold. It eliminates the need for both a toner to a wiremapper, and provides 100% confirmation that the right cable has been located. IntelliTone Pro’s SmartTone analog toning can be used on voice-grade cabling (Cat 3 and below), as well as coax, security/alarm, and speaker wiring. These cables are optimized for lower frequency transmissions, and therefore are more easily isolated with a low-frequency tone. It should also be used in areas with relatively low interference from electronic devices. In high-interference environments, digital may still be a better choice. SmartTone analog toning eliminates frustrating guesswork locating individual wire pairs during installations. The SmartTone analog signal will change ‘songs’ each time the pair under test is shorted together. 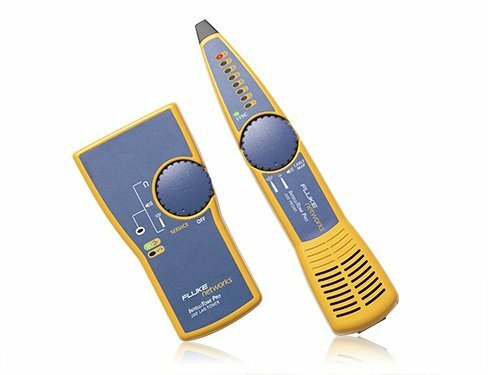 This provides telecom technicians a decisive way to identify individual wire pairs before punching them down on a jack or a block, or when diagnosing voice transmission problems. The IntelliTone™ Pro Toner uses the unique properties of twisted pair cabling to create a balanced signal that minimizes the effect of signal bleed. The smart digital signal processing in the IntelliTone™ Pro Probe clearly identifies this signal with audio and LED visual indicators, allowing you to rapidly isolate the correct cable from a bundle or on a patch panel. IntelliTone™ eliminates hours of cable confusion—and you can count on getting it right the first time. With traditional analog toners and probes, isolating individual wire pairs precisely can be almost impossible because of signal bleed between pairs. As a result, wire pairs are often routed and terminated incorrectly the first time. Redoing incorrect terminations or pulling new wiring wastes tremendous amounts of time and money. IntelliTone Pro’s SmartTone analog technology cuts out the guesswork and improves accuracy by providing definitive confirmation when the pair under test is located. Just short the pair under test, and the audible tone will change its cadence. The difference is dramatic. Eliminate callbacks during cabling moves, adds and changes with the powerful diagnostic capabilities of IntelliTone. The IntelliTone Pro 200 Probe features a CABLEMAP capability that identifies common cable miswires in twisted pair cabling. IntelliTone technology automates the testing of each conductor for end-to-end continuity; LED lights and tones clearly indicate miswires such as opens, shorts or reversed pairs. Modern network devices use aggressive termination schemes for cables connected to their ports. While this termination reduces noise and crosstalk in the cable, it can also absorb an analog toner signal, making the connected cable impossible to detect with an analog audio probe. The result is that locating an unlabeled network can take hours with analog technology. Unlike analog signals, the IntelliTone digital signal stays strong despite common mode termination. And the IntelliTone Pro Toner automates toning individual cable conductors, making it quick, efficient and safe to locate cables on active networks. Toning - IntelliTone makes it easy to quickly locate the cable in the equipment closet when performing moves, adds and changes. Unconnected cable can be quickly isolated in the presence of bleed. Cablemap - The IntelliTone Pro 200 Probe features a CABLEMAP capability that identifies common cable miswires in twisted pair cabling. Complete per-pin verification of TIA568 wiring identifies the exact wire that is open, shorted or miswired. LED lights and distinctive tones clearly indicate miswires. The built-in Cablemap feature eliminates the need to carry separate tools or returning to the far-end to replace the toner with a mapper. The IntelliTone Pro 200 Kit is the all-in-one tool to locate and map Category 5 cabling even when plugged into a switch, and verify link service after moves, adds and changes. 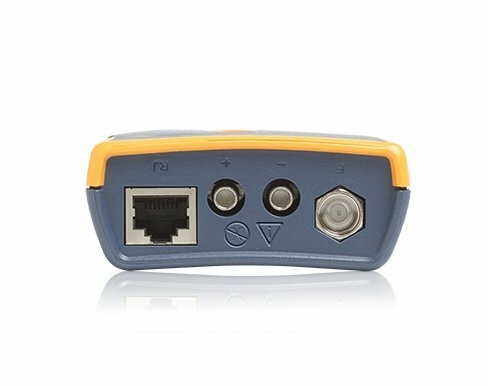 Verify Ethernet Service - Is the link pulse correct, reversed due to a swap cable of uplink port, or MDIX capable? Identify active Ethernet services present at the office wallplate. LED lights clearly indicate the presence of normal, reversed or MDIX Ethernet link connectivity. Copper cabling media including; 75 or 50 Ohm Coaxial cable; Two Conductor control, security, generic cabling. 10 Base-T or 10/100 Base-T datacom networks. UTP cable. Shielded Twisted Pair supported in Cablemap function of the IntelliTone 200. Detects analog SmartTone signal (500-1200Hz) and other analog toners. Toner interface Main Mod8 port for cablemap on all 4 pairs of UTP / STP cabling.